Spirit’s Legacy is a small scale , non profit rabbit rescue and Sanctuary located in Elora, Ontario. 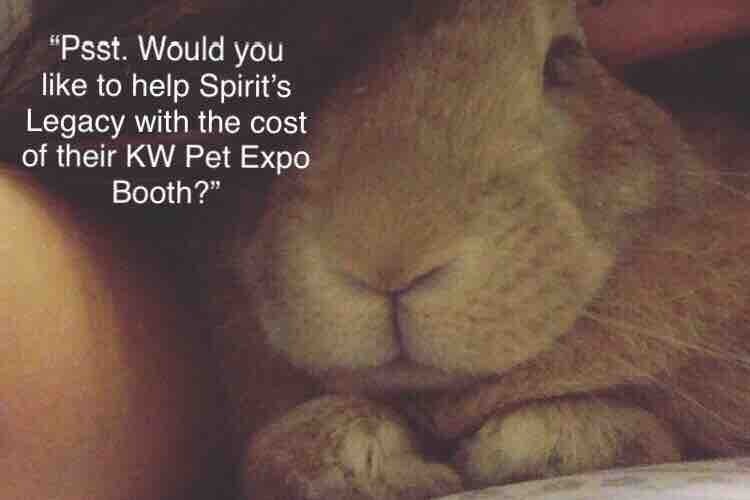 On May 4-5 Spirit’s Legacy will have a 10x10 booth at the Kitchener Waterloo Pet Expo! Our booth will be in the Animal Rescue portion. We will be using our booth to encourage the public to learn about bunnies, and other small critters commonly underestimated! We hope to have not only adoptable rabbits for viewing, but also some of our calm rabbits to show people just how amazing a neutered rabbit could be in their life! We will also most likely have our pair of guinea pigs Carl & Clifford to bring awareness to proper guinea pig husbandry! We hope to use this opportunity to educate and contribute corrections to misinformation about these wonderful animals! Why are we looking for donations? The booth is costing us $169.50, and the insurance for our booth will cost us approximately $155 per our estimate. The money will be going directly to pay off the credit card bill we will have for this. The remaining money will help with the 3% “tax” go fund me takes from the donations. Any help with this financial loss would be so helpful as everything we do for our rabbits whether it be food, neutering, or ER vet visits comes straight out of our pockets. We make 0 profit, and do not ever want to make profit. We want to make happy bunnies and give them a happy life! 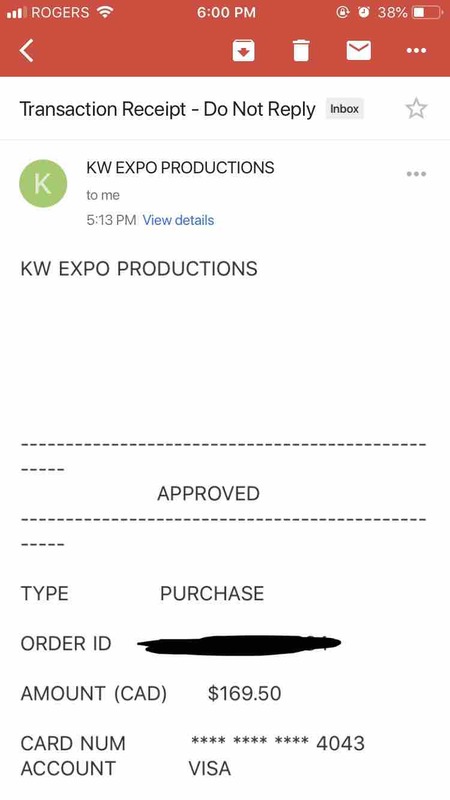 Our receipt for the booth came today!